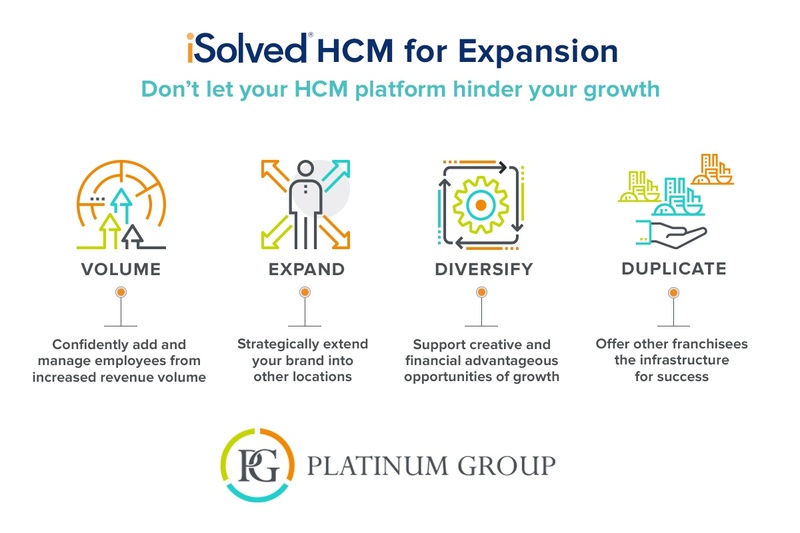 Centralized HCM Solutions Ready to Support Your Expasion & Growth. Whether your plan is to expand to new territories, diversify your business or build a franchise model, iSolved can help you by streamlining the complicated and time consuming part of managing employees and their data. Our user friendly and Top 10 rated HCM platform helps business owners and franchisees efficiently manage their businesses while remaining compliant and meeting regulations. iSolved is easily configured to manage specific employee management requirements in numerous industries. HCM all-in-one! Payroll, HR, Time & Attendance, Benefits Administration, Onboarding & Talent Acquisition. Eliminate time consuming and detailed hand calculations related to garnishments, deductions, tax reports and wage attachments. Simply add records, locations, pay groups and new states without adding headcount. 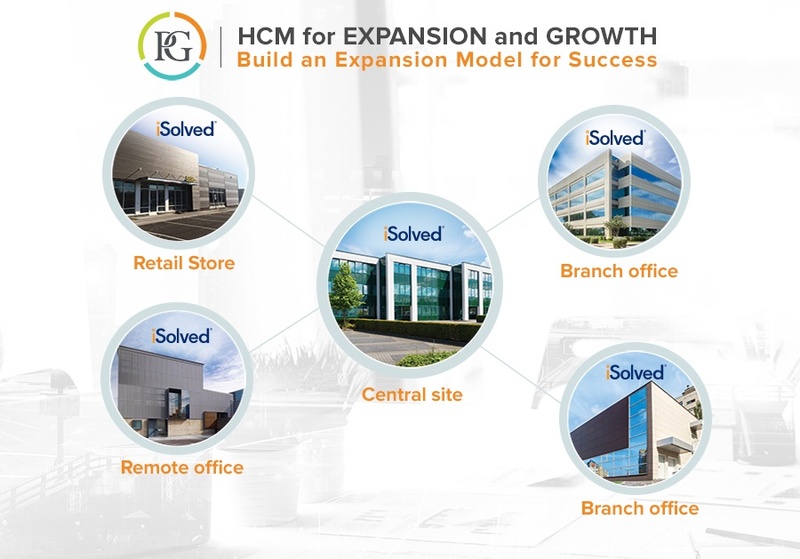 A dedicated HCM solutions architect will work with you to determine which solutions will best support your growth goals and employee management needs. You've worked hard to create your brand. Poorly managed operations can quickly tarnish your image. Provide remote locations and franchisees with a best in class HCM solution to help avoid lawsuits and fines from mismanaged employee operations. To encourage growth, offer remote locations and franchisees with the supportthey need to achieve success. Our centralized support center is here to answer questions that provide the necessary training to manage employee growth. All locations and franchisees are assigned an account team and don't have to dial into call centers to get answers to their burning questions. Build an Expansion Model for Success. Appeal to new franchisees by offering discounted pricing on industry-leading HCM solutions. By choosing iSolved as your expansion partner, we help you create a consistent framework of employee management processes for remote locations and franchisees to operate on. From employees to management, iSolved is the glue that keeps operations running smoothly and seamlessly. Sky's the limit with our single cloud HCM platform. Our technology is built to handle the load of adding new employees by locations, variations of business and requirements per state. Drive success with structure, solutions and support. Retention - respond to employee demand and requests, provide employees secure access to their data via online app. Revenue - focus on precious time and energy on growing the business not managing payroll and other tedious tasks. Reduce Costs - avoid adding headcount, automate error prone processes. Protect Profits - avoid unnecessary penalties and fees by maintaining compliant with government regulations.